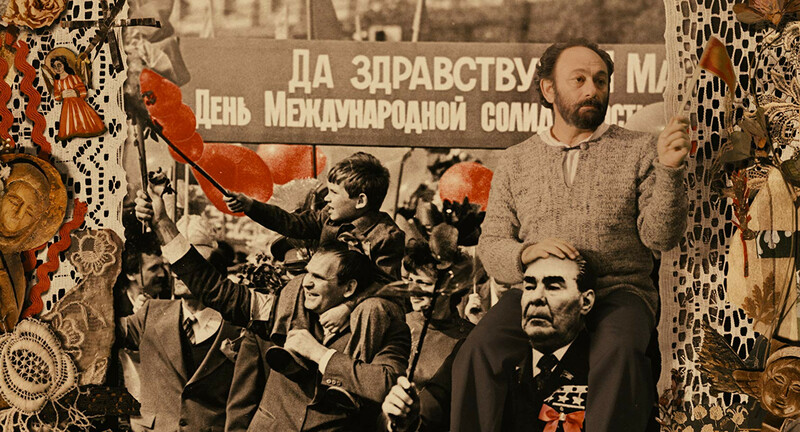 Year 1960: three things happen in Paradjanov’s life. First, he is given the permission to film The Shadows of the Forgotten Ancestors. Second, his wife Svetlana is about to give birth to his son. And third: he catches syphilis and starts intensively medicating with quicksilver. Later, he says that it’s the quicksilver that turned him into a genius, as though he is was a regular person to begin with…This is a film about Sergey Parajanov, the true lover of beauty. Born 1955, Yerevan, Armenia) Avedikian is a French- Armenian actor and director. In 1970, his family returned to France and Avedikian entered the Conservatory of Dramatic Arts in Meudon (France). He later created a theatre company and produced many films. From 1979 on he began pursuing a career of theater, movie and television acting. In 1982, he began making documentary films. Since 1990, he has been making short and medium-length films. His own production company produced most of his films until 2000. He is the film director of many animated, documentary and fiction films produced by others and he has acted in a number of French and Armenian films. In 2010, he won Palm d’Or of Cannes IFF for his animation Barking Island. Love Story: Columbe and Avedis (1981, doc. ), No Return Possibe (1982, co-dir. : Jacques Kebadian, doc. ), What Have My Comrades Become? (1984, doc. ), J’ai bien connu le soleil (1989, co-dir. : Jacques Kebadian), Good Day, Monsieur (1992, short), Mission Accomplished (1993, short), The Fifth Dream (1994), Good Bye Madame (1996, short), M'sieurs-Ladies (1997, short), Lux aeterna (1999, co-dir. : Levon Minassian, short), Terra emota (2000, co-dir. : Levon Minassian, short), Lifeline (2002, short), Between Two Poles (2002), Irina Brook, the Contagious Pleasure (2003), Conjugal amour (2004), A Beautiful Morning (2005, short, anim. ), We Drank the Same Water (2006, doc. ), We Were Young (2008, short), Disobedience 1 (2008, short), Barking Island (2010, short, anim. ), History of Dogs (2011, doc. ), Parajanov (2013). Born 1964, Kiev, Ukraine). The scriptwriter, director and producer of numerous films, graduated from Gerasimov Institute in 1987, and since then she has been working in film industry without any interruption. Fetisova is a member of European Documentary Network and Ukrainian Filmmakers Union Member. In 2009 she won the Ukrainian State Film Award. Graduated also from EAVE. In 2001, she founded and headed up the Interfilm Production Studio. If I Were a Saxophone (2005, doc. ), Roots (2005, doc. ),There Was a Woman Who Lived in a Shoe (2005, doc), Extraordinary Chernomyrdin (2008, doc. ), Not Alone at Home (2009, doc. ), Parajanov (2012).